The beginning of its construction probably dates back to the 12th Century. It was then enlarged and remodelled in the 13th and 16th Centuries. 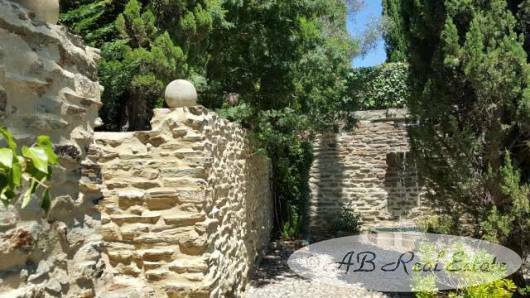 It enjoys an excellent situation, in the region of Perpignan, Languedoc Roussillon, Occitanie, South of France, within easy access to international airports, rail and road networks as well as the Mediterranean Sea. Sitting majestically on the top of a hill, the castle dominates the valley and its surroundings, overlooking its grounds of 6 hectares. 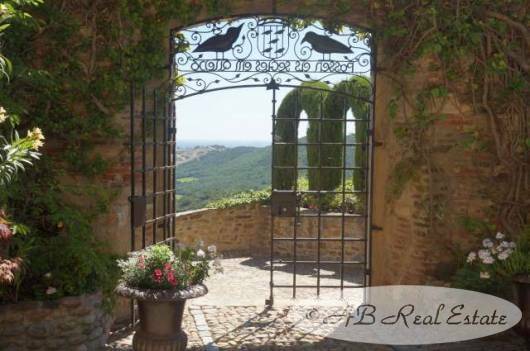 The facade plunges us into history and makes us dream of being a real life castle owner, notwithstanding the title of Baron is part of the sale of castle! The entrance courtyard, wrought iron gate and the beautiful bougainvillea inspire wellbeing and fulfilment, just turn your head right and left and have the impression of dominating the world with its breath-taking views. Its architecture draws its sources from that of medieval Catalan architecture. 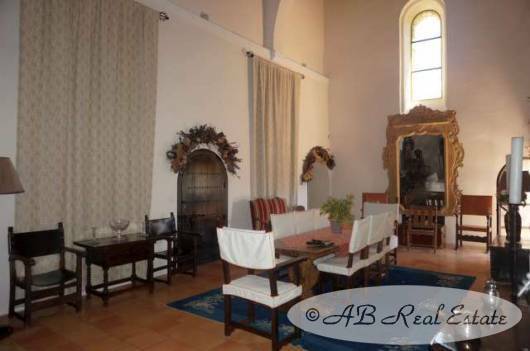 The large reception room and its ancient stone vaulted ceiling create a wonderful atmosphere, beautiful marble staircase, splendid fireplace, large bright rooms with high ceilings, swimming pool, walkway, park .... Only seeing this with your own eyes will you be able to appreciate all that this property is able to offer you !!! 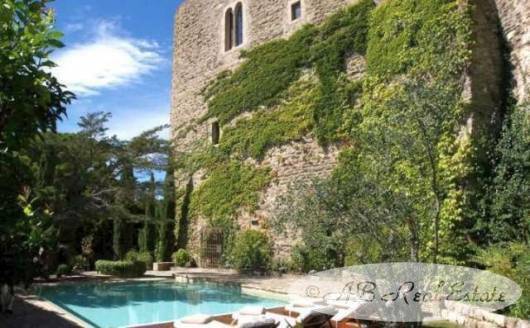 This proves that a medieval castle can both retain all its charm, character and authenticity while offering all modern comforts. 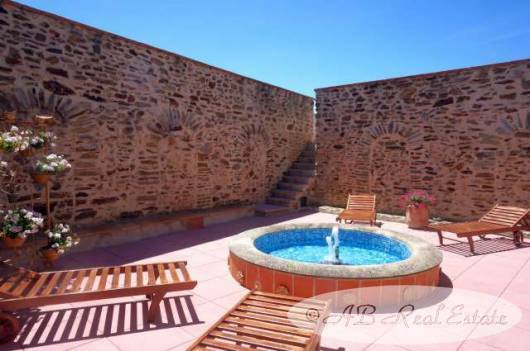 All that is left for you to do is to put your suitcases down and create your own history in this property! 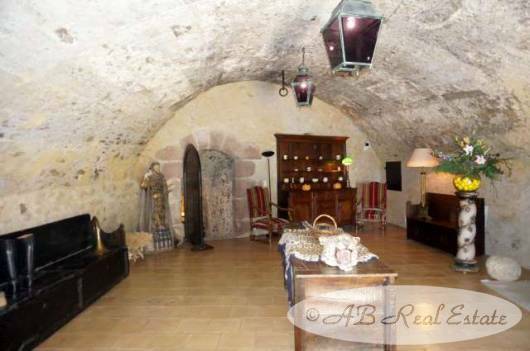 Ground floor with main entrance: Entrance/Dungeon 57m² and stone vaults, a few steps down to the old weapons room which is now a large cinema 64m² waiting for you, with access to the exterior with ancient stone arches and steps, utility room 16m². 1st floor: Access by a beautiful marble staircase arriving on a landing, chapter hall 50m² with 7.5m high ceilings and access to a small terrace with splendid view 5.5m², living room and boudoir 76m² with sumptuous fireplace, library 7m² and staircase leading to bedroom 1 15m² with a view of the chapter hall, with toilet and stone washbasin, office 5m², kitchen 20m², independent toilet with hand wash basin, shower room, bedroom 2 17m², bedroom 3 17m², bathroom , office 10m², bedroom 4 15m², bedroom 5 21m², bathroom and toilet. 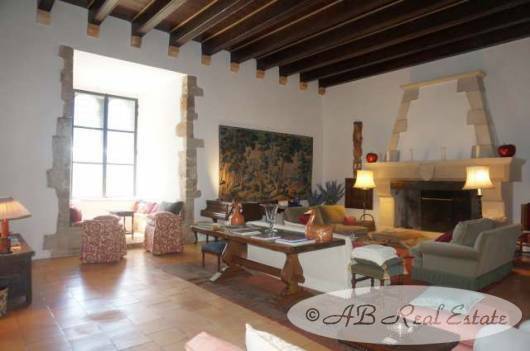 2nd Floor : Access by stairs, bedroom 6 18m², air-conditioned library 56m², summer living room 24m² with access to the solarium/winter garden and its beautiful fountain. The patio gives access to all rooftop terraces with breath-taking views. Basement/secret dungeon: A staircase plunges you from the cinema room to the secret dungeon... A bar with a small equipped kitchen awaits you with barbecue, bathroom, WC and direct access to the outside to enjoy the pool and its green nature around. Finish the blind hell of the time! 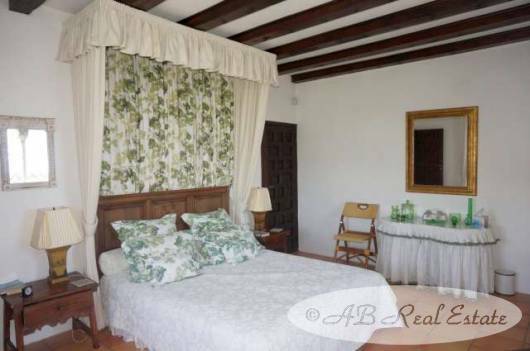 Caretaker's house 74m² with 2 bedrooms, one with en-suite bathroom, bathroom and separate toilet, equipped kitchen. Heated pool 11m x 6m with counter flow system and rolling cover. Chlorine, ph, automatic water level. Many terraces, one of 5m² on the level of the chapter hall, a large terrace 40m² with fountain, roof terraces offer views that you rarely have the opportunity to see! 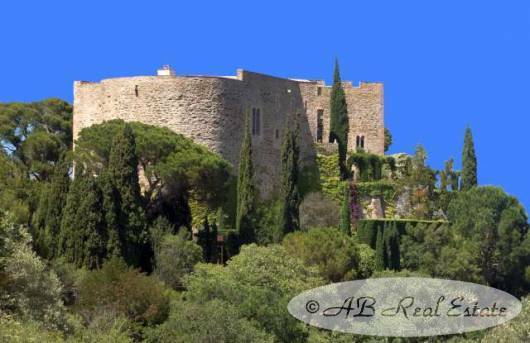 About 6 hectares extend around the Castle located on the top of a hill. The land immediately around the castle is flat, where the swimming pool is located, fountain, park and the walkway offers breath-taking views then the land with its woods, slopes down to the village. Integrated watering system. The castle has been renovated. It is very rare to see such a property in a condition like this. Underfloor heating in a large part of the castle, air conditioning in the library. Most windows are iron and triple glazed, others are still in wood, single glazed. New roof, alarm system and CCTV. 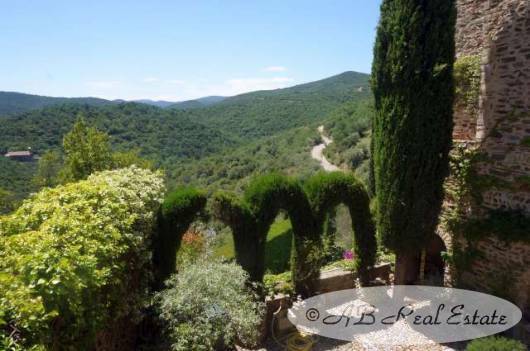 A totally extraordinary and unique property, perfect for a family residence year-round or even a secondary home. Overlooking a village with some shops.